James Bond must obtain a Russian deciphering machine in Istanbul from another agent. The tempting offer turns out to be a deadly trap. 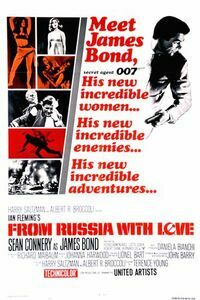 The second film of the legendary James Bond series starring Sean Connery as the British super agent.